Eleonora Duse (Italian: [eleoˈnɔːra ˈduːze]; 3 October 1858 – 21 April 1924) was an Italian actress, often known simply as Duse. She is regarded as one of the greatest actors of all time, noted for her total assumption of the roles she portrayed. Duse was the subject of the 1947 biographical film Eleonora Duse. Duse was born in Vigevano, Lombardy, and began acting as a child. Both her father and her grandfather were actors, and she joined the troupe at age four. Due to poverty, she initially worked continually, traveling from city to city with whichever troupe her family was currently engaged. She came to fame in Italian versions of roles made famous by Sarah Bernhardt. She gained her first major success in Europe, then toured South America, Russia and the United States; beginning the tours as a virtual unknown but leaving in her wake a general recognition of her genius. While she made her career and fame performing in the theatrical "warhorses" of her day, she is today remembered more for her association with the plays of Gabriele d'Annunzio and Henrik Ibsen. In regard to her general character, it is important to note that reading was a lifelong passion. By this time, her career was in full swing and her popularity began to climb. She travelled on tour to South America, and upon her return a year later she formed her own company, meaning that she would assume the additional responsibilities of both manager and director. 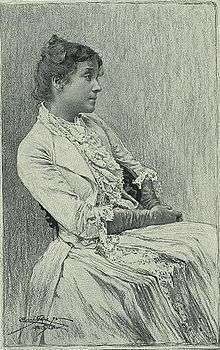 Between 1887 and 1894 she had an affair with the Italian poet Arrigo Boito, perhaps best remembered as Verdi's librettist. Their relationship was carried out in a highly clandestine manner, presumably because of Boito's many aristocratic friends and acquaintances. (Despite this, their voluminous correspondence over the years survives.) In later years the two remained on good terms until his death in 1918. In 1895 she met Gabriele d'Annunzio, who was five years her junior, and the two became involved romantically as well as collaborating professionally. Gabriele d'Annunzio wrote four plays for her. In contrast to her relations with Boito, her association with d'Annunzio was widely recognized. When d'Annunzio gave the lead for the premiere of the play La Città morta to Sarah Bernhardt instead of Duse, there was a furious fight, and Duse ended her affair with him. In contrast to Bernhardt's outgoing personality, which thrived on publicity, Duse was introverted and private, rarely giving interviews. She found public appearances to be a distraction, and once remarked to a journalist that away from the stage, "I do not exist". Bernhardt and Duse were unspoken rivals for many years. Comparisons of Duse to Bernhardt with regard to their acting talent were common, with warring factions arguing over their relative merits. Those who thought Duse the greater artist included George Bernard Shaw, who saw both actresses in London within the span of a few days, in the same play. Shaw gave his nod to Duse and defended his choice in an adamant oratory quoted by biographer Frances Winwar. Ellen Terry, a famous British actress of the era who knew both well, observed "How futile it is to make comparisons! Better far to thank heaven for both these women." In 1896, Duse completed a triumphant tour of the United States; in Washington President Grover Cleveland and his wife attended every performance. Mrs. Cleveland shocked Washington society by giving in Duse's honor the first-ever White House tea held for an actress. In 1909 Duse retired from acting, and near to that same time she met and became involved in an affair with Italian feminist Lina Poletti, a former lover of writer Sibilla Aleramo. The two lived together in Florence, Italy for two years before ending the relationship. Duse's relationship with the dancer Isadora Duncan was also rumored to be sexual. Duse spent several weeks with her at Viareggio, the seaside resort, in 1913, shortly after the dancer's two children drowned in a tragic accident. She was also known for mentoring many young actresses in her company, most notably Emma Gramatica; and she shared a lasting and intimate friendship with the singer Yvette Guilbert. She also savored a long friendship with the couturier Jean Philippe Worth, who was utterly devoted to her. Eleanora Duse, early in her acting career. Duse was famously cryptic regarding her acting style. She claimed not to have a technique of any sort, and scorned at efforts to put her art into a science. What is known is that she had a highly heterodox, almost religious philosophy of acting, seeking to "eliminate the self" and become the characters she portrayed. It is a common misconception that her acting was purely intuitive and spontaneous, in reality she labored over her craft. 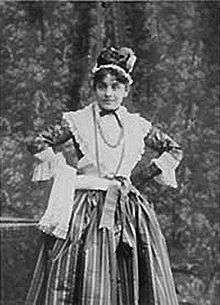 Her biographer, Frances Winwar, records that Duse wore little make-up but, "...made herself up morally. In other words, she allowed the inner compulsions, grief and joys of her characters to use her body as their medium for expression, often to the detriment of her health." Over the course of her career, Duse became well-known and respected for her assistance to young actors and actresses during the early stages of their careers. Among diverse artistic geniuses who acknowledged being inspired by Duse are modern dance pioneer Martha Graham and Imagist poetry pioneer Amy Lowell. She was great friends with actress Eva Le Gallienne, who wrote her biography. Duse suffered from ill health (largely pulmonary) throughout most of her adult life, and the many years of touring had taken their toll. She retired from acting in 1909, but returned to the stage in 1921 in a series of engagements in both Europe and America. During this interval, in 1916, she made one film Cenere ("Ashes"), prints of which still survive. She was very disappointed in her work, and would later write to the French singer Yvette Guilbert with the request not to see “that stupid thing, because you’ll find nothing, or almost nothing, of me in that film.” There was also a certain amount of professional correspondence between Duse and D. W. Griffith, though ultimately nothing came of this. On 30 July 1923 Duse became the first woman (and Italian) to be featured on the cover of the nascent magazine Time. Duse died of pneumonia at the age of 65 in Pittsburgh in Suite 524 of the Hotel Schenley, while on the eastward return leg of a tour of the United States. (The Hotel Schenley is now the William Pitt Union at the University of Pittsburgh.) A bronze plaque in the lobby commemorates her death. After being moved to New York City, where she lay in state for four days before her funeral service, her body was returned to Italy (where another service was performed). She is buried in Asolo – where she had made her home for the last four years of her life – at the cemetery of Sant' Anna. ↑ Mileti, Nick J. Closet Italians: A Dazzling Collection of Illustrious Italians. Philadelphia: Xlibris. ISBN 978-1-4134-6145-9. OCLC 56993617. ↑ Spitsberg, Tija (3 June 2008). 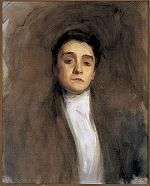 "Duse, Eleonora (1859–1924)". glbtq.com. Retrieved 12 January 2009. ↑ "Eleonora Duse". Find a Grave. 29 October 2002. Retrieved 12 January 2009. Jeanne, Bordeux (1925) . Eleonora Duse: the story of her life. London: Hutchinson & Co. OCLC 7912238. Also OCLC 213823532, OCLC 59787344 Published in America as Jeanne, Bordeux (1925) . Eleonora Duse: the story of her life. New York City: G.H. Doran. OCLC 77302304. Recent edition published as Jeanne, Bordeux (2005) . Eleonora Duse: the story of her life. Whitefish, MT: Kessinger Publishing. ISBN 978-1-4179-5746-0. Winwar, Frances (1956). Wingless Victory. New York City: Harper. OCLC 11057365. Le Gallienne, Eva (1966). The mystic in the theatre: Eleonora Duse. New York City: Farrar, Straus and Giroux. OCLC 331204. Weaver, William (1984). Duse: a biography. London: Thames & Hudson. ISBN 978-0-500-01341-0. OCLC 11063020. Published in America as Weaver, William (1984). Duse: a biography (1st. American ed.). San Diego: Harcourt Brace Jovanovich. ISBN 978-0-15-126690-6. OCLC 10558161. Sheehy, Helen (2003). Eleonora Duse: a biography (1st. ed.). New York City: Alfred A. Knopf. ISBN 978-0-375-40017-9. OCLC 50495500. Rodriguez, Antonio Orlando (2005). The Last Masquerade: a novel. Mestre-Reed, Ernesto (trans) (1st. ed.). Rayo. ISBN 978-0-06-058632-4. OCLC 55208203. Wikimedia Commons has media related to Eleonora Duse.